Other Expenses: Please see the detailed information by attached images, for more details or condition of short term lease. Hello and welcome to DID-GLOBAL, A company dedicated to fulfilling the housing needs of the non-japanese residents at Osaka/ Kansai area. (http://did-global.com) We have unique rental systems, to should be solutions to various problems most of non-Japanese are having because of they are foreigners. 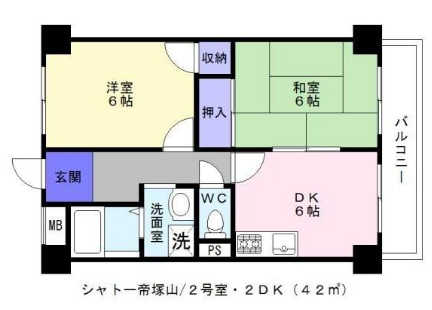 We have more than 20,000 apartments in Kansai area which are possible to rent for non-Japanese people with ◆ No Guarantor Person, ◆ No Guarantee company, ◆ No Key Money(Reikin), ◆ No Agency fee. Parts of them are furnished and monthly/weekly rental available. Our renting system won't let them waste much money for their a few years stay in Japan. ~~Long standing experience for foreigners services~~ We have worked closely with Japanese real estate companies and building owners for a long time, so we have enough skills, experiences and networks to provide satisfactory real estate services for foreign residents during their searching and staying. ~~ English Assistance ~~ We are providing English assistance throughout the rental processes, from finding the right place to rent until to moving out. The professional and friendly English speaking staff members are available anytime to deal with any enquiries you may have and any issue which may arise throughout your stay. All paperwork and transactions are written/done in English, so that letting the residents understand the details well, releasing from trivial worries and problems during your stay. We ensure that your stay with DID-GLOBAL will be hassle-free and enjoyable. ~~Other services~~ We are always looking to go one step further to ensure you enjoy your stay here in Japan. Our broad professional and social network allows us to provide advice on everything from health insurance, casualty insurance, legal matters, property investment, internet accesses, travels - right down to finding a great place to eat in your neighborhood. Contact us and find out just how much we can improve where you live and how you spend your time here in Japan.